Tracking goats and bleach, artificial intelligence helps out in crises - SABC News - Breaking news, special reports, world, business, sport coverage of all South African current events. Africa's news leader. Using photos and other data collected on a wide range of Nepalese homes, Elizabeth Hausler was able to train computers to analyse photos of quake-hit buildings and then suggest whether they could be repaired safely and cost-effectively. 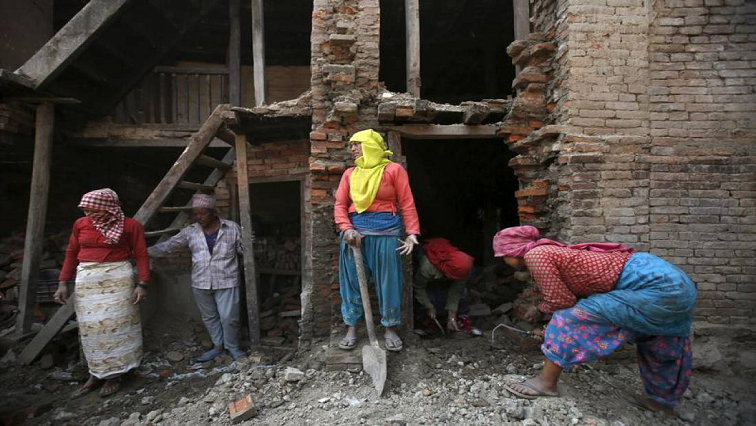 When Nepal suffered devastating twin earthquakes in 2015 that killed nearly 9 000 people, the government provided help for families, whose homes had collapsed, to rebuild, but tens of thousands of others with damaged homes that were still standing faced a tougher decision: Was it safe to make repairs? Or were they better off building a new, often smaller home at their own cost? Artificial intelligence (AI), it turned out, could help, said Elizabeth Hausler, a US-based engineer and builder who works on creating affordable, disaster-resilient housing. In Nepal, many homes are variations on a standard design, rectangular, multi-storey and with similar windows, she said. “We realised the buildings aren’t that unique,” she told the Skoll World Forum on Social Entrepreneurship in Oxford. Using photos and other data collected on a wide range of Nepalese homes, Hausler and others were able to train computers to analyse photos of quake-hit buildings and then suggest whether they could be repaired safely and cost-effectively. Property owners could download an app created by Hausler’s team, upload photos of the home in question, and get back a machine-assisted assessment of the best plan for them, said the founder of Build Change, a Denver-based organisation that aims to reduce losses from home and school collapses in disasters. The technology avoided the costs and long delays of having assessment teams visit each home, and helped people rebuild faster and more securely, Hausler said. It is now being used in other countries, including Colombia. In disaster zones, AI-assisted efforts can help builders get back to work faster, spurring economic recovery, she added. AI is being used to help solve a wide range of persistent problems, but its growing application presents a range of risks- including to human rights, as technology like facial tracking becomes widespread, experts told the Skoll forum. Amnesty International, for instance, is lobbying for a human rights framework for the use of AI, said Tanya O’Carroll, director of Amnesty Tech. Meanwhile, it is also piloting the use of AI in human rights monitoring, including by training computers to identify attacks on villages in Sudan’s Darfur region from satellite images and monitoring media to track executions worldwide, she said. Babusi Nyoni, a Zimbabwean who calls himself an “artificial intelligence evangelist”, said AI software that underlies a South African dance app is also serving new purposes. But the software’s ability to examine movement via mobile phones can now provide early remote diagnosis of Parkinson’s disease too, based on a user’s posture, gait, arm movement and rigidity, Nyoni said. “We know from the dance app experiment there is willingness to interact with new technology as long as it’s relevant,” he said. In Africa, mobile phones present “a new frontier for data access,” with 80% of people using phones, he added. The continent’s general lack of data to underpin AI systems has fostered some remarkable creativity, Nyoni noted. Two years ago, he began working with the UN refugee agency (UNHCR) on Project Jetson, aiming to predict movements of displaced people in and around Somalia, but data was so scarce they struggled to meet monthly deadlines, with consequences on the ground such as inadequate preparation of services for those uprooted, he remembered. They then realised that when people prepare to leave home, they sell their goats and the market price falls, signalling a coming surge in population movement; a measure that now feeds into the prediction system. Proxy indicators, sales in chlorine bleach pointing to arise in Ebola cases, or the number of cars in a parking lot showing how a company is doing, are helping plug data gaps for AI systems in Africa and elsewhere, said Megan Smith, chief technology officer for former US President Barack Obama. Hausler’s safe housing group has worked with the World Bank to see if homes on the island of St. Lucia could withstand a hurricane as fierce as that which devastated nearby Dominica in 2017. They used artificial intelligence and other technologies to examine the island’s housing and make predictions, based on what they knew about Dominica. They found St. Lucia’s housing stock was similar and likely to collapse in those extreme weather conditions, Hausler said. “The question now is; is this information going to compel action? Is it going to change priorities in the way decisions are made?” she asked. This entry was posted on 11 Apr 2019,01:31PM at 1:31 PM and is filed under Sci-tech. You can follow any responses to this entry through the RSS 2.0 feed. Both comments and pings are currently closed.